Inspired by Bruce Lee, young Matthew Polly dreamed of one day becoming the toughest fighter in the world. 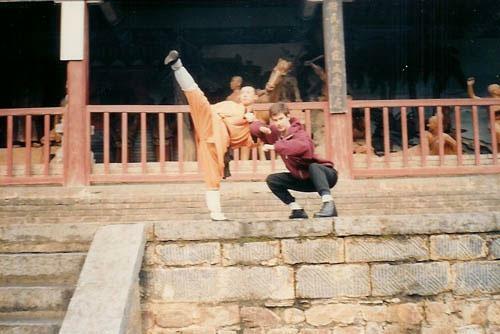 In 1992, he traveled to China to train at the famed Shaolin Temple - the only foreign student there at the time. Polly‘s two-year experience not only taught him ancient Shaolin kung fu, but also provided him opportunities to witness the rapid changes of modern China. In 2018, Matthew Polly wrote the biography Bruce Lee: A Life in honor of his childhood idol.